Finding the perfect Father's Day Gift for your loved one can be a tough decision. That's why we have searched for the perfect gift for you to surprise your Dad! Please see below for the perfect gift ideas! Father's Day is around the corner so make sure to pick your gift fast! Looking for something powerful to give your Dad? The Remington Lithium Power Series 4-in-1 Vacuum Trimmer uses a high velocity fan blade vacuuming system to create maximum power and suction to ensure trimmed hair lands in the removable chamber, not in your sink or on your floor! The Remington Lithium Power Series 4-in-1 Vacuum Trimmer easy to use, charge, and clean and makes a perfect Father's Day Gift! Known for unique designs and exceptional quality. Papyrus cards make a perfect accessory for any Father's Day gift! There are some great Father's Day cards that relay the perfect sentiment for your Father. We love the Pop-up Father's Day cards! There are so many designs to choose from! Make sure to select the perfect card for your Dad! Does your Dad love watches? The Kenneth Cole Connect is a sophisticated NEW line of smart watches that boasts 12 versatile styles -- from a sleek stainless steel bracelet to bold pops of color! Features include the ability to control music remotely, the ability to take a selfie longer than his arm by controlling smart phone camera directly from the smart watch, alerts for calls/texts and "Don't Leave Me Alerts" that let him know when he's leaving Bluetooth connection, never allowing him to lose his phone again! Does your Dad have a sweet tooth? Nicolas Cloiseau, Master Chef of La Maison du Chocolat, introduces five exceptional recipes celebrating the world of haute cuisine with surprising pairings of chocolate and vegetables. The pairings include: Hazelnut praliné with porcini mushrooms, Ganache with caramelized onions, dark Chocolate ganache with red pepper, Praliné with black olives and plain robust ganache with Guérande salt. The Savoury Chocolate Collection may be enjoyed at any time of the day or night and makes a great gift! Bvlgari, the brand has always represented luxury and style. 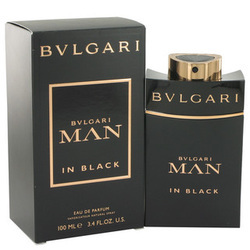 Bvlgari has the perfect scent for your Dad, one of their latest releases is the Bvlgari Man in Black Cologne. Inspired by the Roman god of fire and metal as well as Bvlgari’s bold, luxurious timepieces for men, master perfumer Alberto Morillas contrasted amber and leather with addictive, honeyed spices to compose this sensuous, supremely masculine fragrance. The cologne makes a great gift for your Dad! It's very hard to find the perfect gift for the Man in your life. 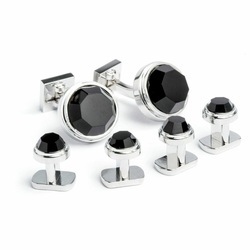 One of our favorites for Men is Ike Behar 's "Rhodium Plated Formal Stud Set" This classy cuff link set is rhodium plated with black onyx stones. It is ideal for the Man that exudes class and style!